We’d been itching to add a Cyprus collection for many years, and I’d been itching to assign myself to the arduous task of reviewing the hotels – citing my tenuous Cypriot connection (my grandmother was Cypriot-French, making me proudly 1/8th Cypriot). So when we reached a quorum of unexpectedly lovely boutique properties all keen to join i-escape.com, I booked the first flight out. This was mercifully easy: a direct, daytime flight from Bristol to Paphos with easyjet for under £150. And I was even more smug when I saw the weather forecast: a sunny 25 celsius, while England endured sleet and freezing winds. Shortly after my return – nothing to do with my spending habits, I assure you – the country’s banking sector was hit by a crisis which briefly threatened the euro itself. But that didn’t deter us one jot from launching. On the contrary, 2013 could be a great year to visit: the beaches will be emptier than usual, hotels are functioning normally (with some tempting special offers), you will be welcomed more warmly than ever – and, most importantly, no Eurocrat can stop the sun from shining! Spring is well and truly underway now; the landscapes – from azure seas to vine-terraced hills and pine-forested mountains – are blossoming; the cuisine (if you know where to go) combines the best of Middle Eastern mezzes with the fresh-fishery of a minor Greek island circa 1970; there is still a huge range of direct flights from around the UK; and, personally speaking, I believe we should support entrepreneurial Cypriots (almost all our properties are locally owned) who are beset by financial woes outside their control. So plenty of good reasons. 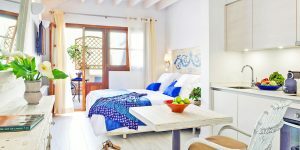 But now – if I may make so bold – there’s one more: our hand-picked collection of gorgeous hideaways and boutique hotels, some of them tucked away in sleepy villages, others on buzzing urban waterfronts, ranging from £50 a night to over £1000. All are places to which I’d happily return – but next time I’d bring family or friends, rather than camera and notebook. My two favourites are both in the sleepy-village category. Apokryfo lives up to its name (which means ‘hidden away’) by requiring careful navigation up winding country lanes from Limassol into the Troodos foothills, and then wowing you with style-mag interiors and classy mezze cuisine when you get there. Over poolside dinner with owners Vakis and Diana – he’s an architect, she runs a design store – I hatched plans to come back with my extended family for a May bank holiday weekend, spreading out in the 3-bedroom Schoolmaster’s house with the in-laws on call in the next door Gatehouse. (That’s not quite how I described it to them). 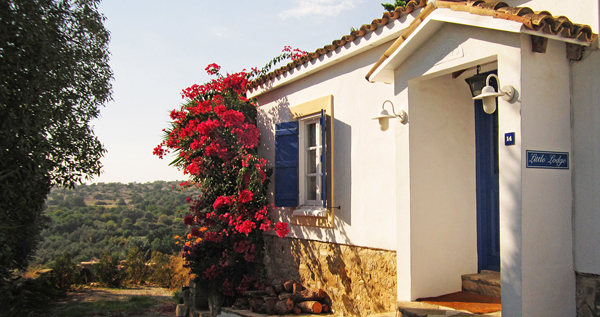 Come the summer, I’d book us in at Modus Vivendi, a brilliant budget guesthouse in the pretty village of Psematismenos, just 2 miles from the coast. With 5 suites cleverly arranged around a flower-ringed pool, the dream is to come back with a bunch of friends and their children, each family having as much independence as they want, but getting together for daytime trips to the beach, and evening sorties to the village’s excellent restaurant. Or Little Lodge, just down the road in Maroni, makes a gorgeous alternative. With just 2 cosy rooms on a B&B basis (or book both if coming en famille), and the warmest of welcomes from British owners Elsa and Clive, it’s a real gem. If I haven’t offended my in-laws beyond repair, and can persuade them to baby-sit for a long weekend in October, I’d whisk my long-suffering wife away for a glamorous, pampering break at Londa Beach Hotel in buzzy Limassol. I think we can still do glamorous when called upon. Certainly we can manage a few laps of the sun-drenched pool, interspersed with the occasional massage and mocktail, before tucking into exquisitely presented, Italian-cheffed dinners at the glitzy restaurant. If guilt does rear its ugly head, I can even tune into the free WiFi on their sea-facing terrace, and pretend to work. That’s what most of the other guests seemd to be doing when I stayed. 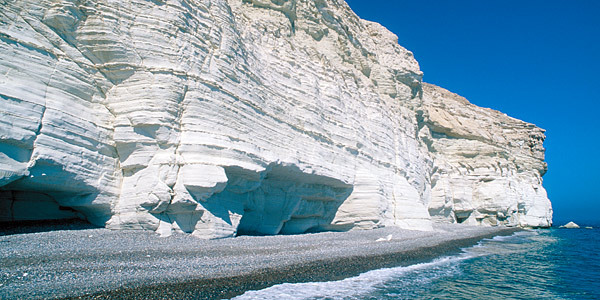 At this stage, I have to come clean and mention the one aspect which disappointed me about Cyprus: the beaches. The longest, sandiest ones are spoiled by huge hotels (and I mean huge: 300-500 rooms), while the smaller coves tend to be shingly, seaweedy or – in the case of much-vaunted Aphrodite’s Rock – over-run with busloads of Russians and Poles rolling up their trousers to take cheesy snaps of each other in the shallows. But there are some exceptions. Pissouri, just west of Limassol, is one (though shingly); northerly Mansoura is another (but it’s a devil to reach). 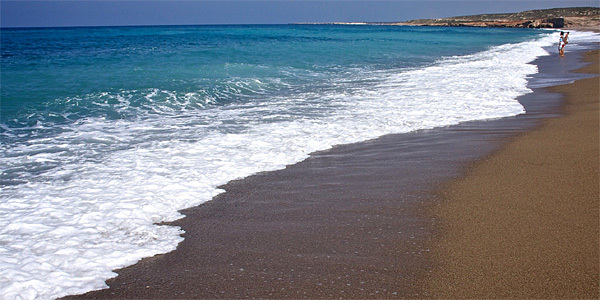 Best of all is Lara Beach and its neighbours on the Akamas peninsula: soft, sun-bleached sands and unfeasibly azure waters, with the added bonus of hatching turtles – and the strict preservation laws which that entails. You can reach them by jeep or boat from Almyra in Paphos, or zip there in 10 mins in one of Anassa’s speedboats if you’re feeling flush. Of these 2 sister resorts, I actually preferred Almyra. It’s a stunning design hotel right on Paphos’ seafront, with 4 sleek pools, all manner of watersports, a superb spa, great kids clubs and some of the most mouth-watering food on the island – including bespoke sushi on the rooftop if you so desire. A short walk away are bars, boat trips and some of the finest Roman mosaics in the Med. At 189 rooms it’s much larger than our norm, but the service is impressively warm and personal, and the building cleverly broken up, especially the Kyma Suites. And when I stepped into my room, I knew we had to bend the rules a bit. So my trip in numbers: 10 days, 9 beaches, 7 villages, 3 cities, 5 swims in the sea, 2 mountain hikes, and not one visit to Ayia Napa. The net result: 6 gorgeous places to stay. Enjoy.